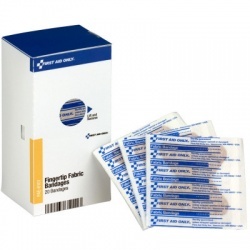 When your daily activities can´t be stopped by a cut, Fabric Bandages are perfect for you, as they adhere to the wound and its surrounding area for a firm hold that will stay in place all day even when wet, unlike standard adhesive bandages. 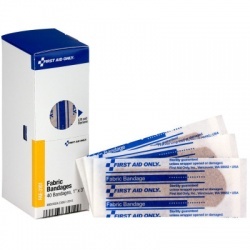 The Fabric Bandage woven material is ventilated for optimal healing of the wound and Wholesale-Direct carries different sizes and special ones for fingertips and knuckles. 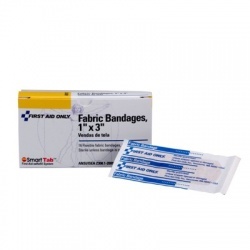 Fabric Bandages There are 26 products. 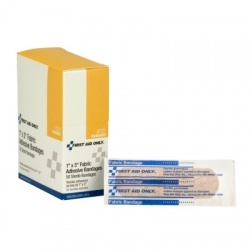 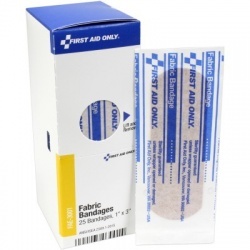 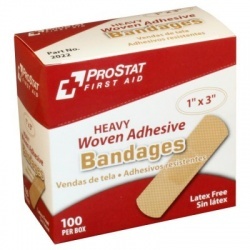 '1"x3" Fabric bandage - 100 bandages per dispenser box Case of 18 @ $5.90 ea. 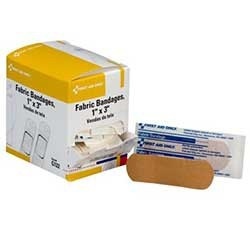 '1"x3" Fabric bandage - 100 bandages per dispenser box Case of 18 @ $5.90 ea.